Troy Baker and Nolan North are heroes of voice acting in video games. Almost every IP in the last twenty years have had either Baker and/or North involved in their cast. Since acting together in Uncharted 4: A Thief’s End, the two have become “fast friends” as Troy Baker says. Almost a year ago, the two started their own YouTube channel for Let’s Plays. Nolan North and Troy Baker host Retro Replay, where they play older games like Streets of Rage, Megaman, and Contra, to name a few. 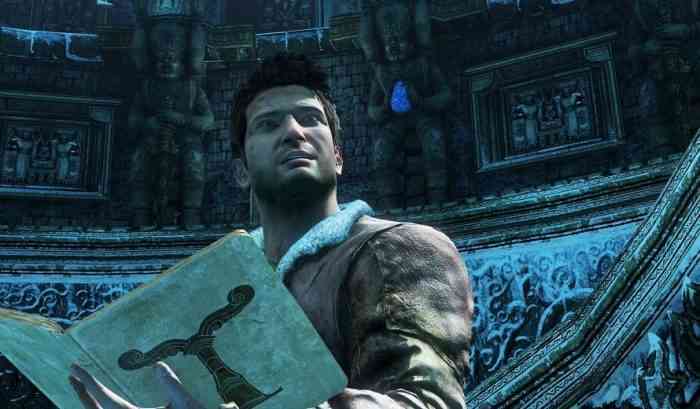 Earlier today, they began a playthrough of the first Uncharted game. Uncharted: Drake’s Fortune holds a special significance to both of them and now we get to watch them reminisce. Nolan North, as we all know, plays the main character in the Uncharted series Nathan Drake. Drake’s Fortune is the game where he began his journey as this character. Troy Baker has a different memory of this game. On the set of a movie, which Baker has less than fond memories of, he would play Uncharted in his downtime. Nolan North, on the other hand, has never played an Uncharted game. They decided that this would be a golden opportunity to throw Nolan into the driver’s seat for this game while Troy coaches him on how to keep himself alive. As Nolan North experiences this game for the first time, Troy Baker ends up doing a lot of interviewing and asking a lot of questions. There’s a lot of “Oh, I remember this scene!” or “Hang on, I’m very good in this scene,” from North. Baker asks about the shooting process as Nolan and his co-stars did the performance capture for the cutscenes. It’s unclear if they will play the whole game in a Let’s Play series or if they will shoot one episode per game, but you should definitely follow it. What are your memories of the Uncharted series? Let us know in the comments below.